Carrie isn't the only one who loves holding babies. 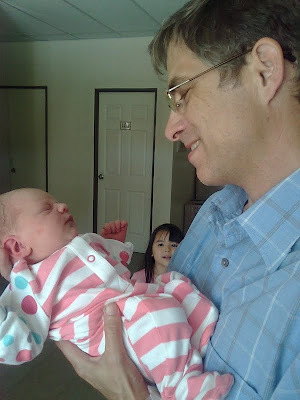 Jenna Lee was less than 24 hours old and was already asking me to pick her up and tell her stories. I think we are going to be good friends. You look like you have done that a time or two! You are a natural! p.s. Thank you so much for the new mailing address. I was wondering if I was using a less direct route before...=) Hopefully now notes will reach you much more quickly!